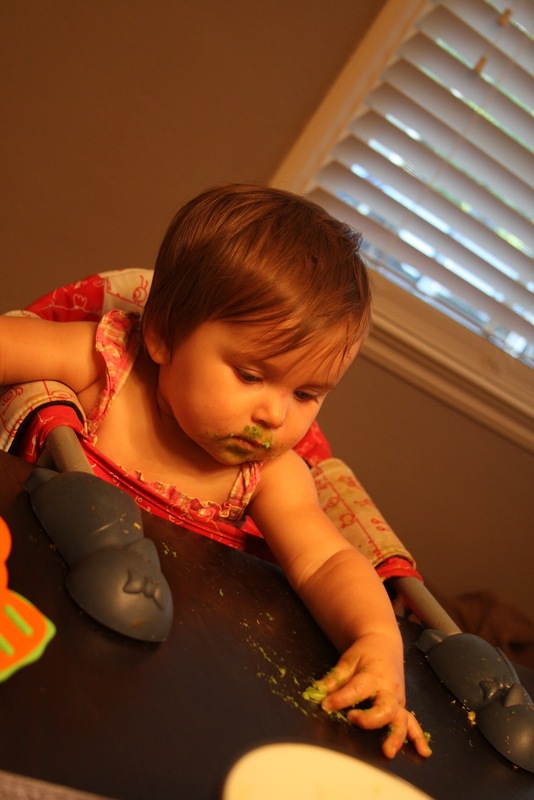 Slimy avocado can be a bit of a challenge for chubby little fingers to go after. But it's so good, it's worth the effort. you should just use your mouth! If only you knew how much pleasure I got out of watching Isla trying to eat the avocado off the table! Avocado be good though and totally worth it. And I'll be honest, I've been known to lick a guacamole bowl clean a time or two. I told you, that green stuff be good! Omigosh, I LOVE avocado. My grandma used to eat it straight and I'd see that it was green, lump it in with gross vegetables and never eat it. Now I know better. See you soon. Made our day.